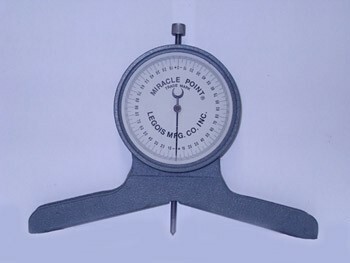 Miracle Point ® series 900 Magnetic base protractor also known as centering head, or pipe centering tool. The center pin will mark the middle point at the angle being indicated. Optional – Calibrated fixed "0" or movable "0"
The lens of the Miracle Point ® needs protection in harsh environments. Lens Guard will protect the edge of the lens. Easy to install or request Lens Guard with your repair service. 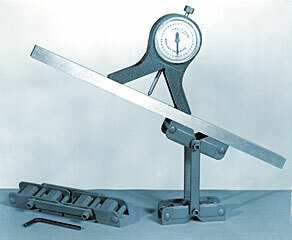 New Magnetic Base Protractor & Center Locater. Guaranteed accuracy for 1 full year +/-.5 of a degree.